Audimute offers a wide variety of acoustic products to create the perfect home soundproofing solution. Find the space in your home in need of soundproofing solutions below, and learn how to soundproof a house with style. From home theaters and studios to offices and living rooms, Audimute has the home soundproofing solution made easy! 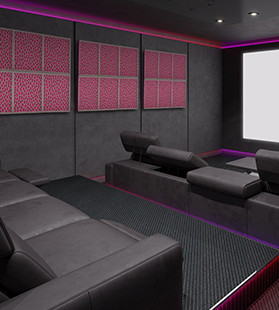 You've invested your time and money into creating the perfect home theater experience--why let it be ruined by acoustics problems? Acoustic panels make the solution so simple. Your home should be your place of rest, but acoustics problems can make it hard to find any peace. Solve your problems and beautify your home with our decorative home soundproofing, like image or fabric panels. With people living below, above, and to the sides of you, it's almost impossible to get some peace and quiet in your apartment. Use Audimute's acoustic products to not only decorate your apartment but also to stop the noise from bouncing off the walls. 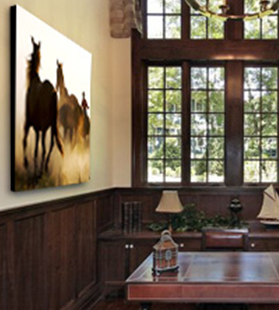 Acoustic panels are the perfect solution for home soundproofing office spaces. Panels absorb voices, high pitched noises, noisy ventilation systems, and more so you can get on with business! Start creating your home office acoustic treatment today. 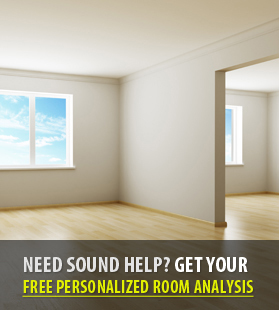 Not sure where to start when it comes to home soundproofing or acoustic solutions? Fill out our free and simple survey about your space and an Audimute Acoustic Specialist will be in touch within one business day with free, personalized advice – no strings attached! When it comes to home soundproofing, you should never have to sacrifice safety for style. 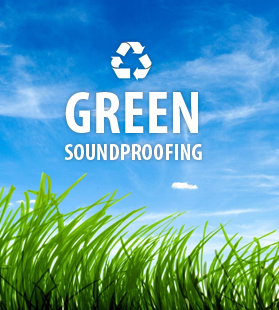 See what makes our eco-C-tex™ acoustic panels the most eco-friendly option on the market, and learn why you should care about green soundproofing. Easily take control of your sound and style with Audimute’s home soundproofing solutions! 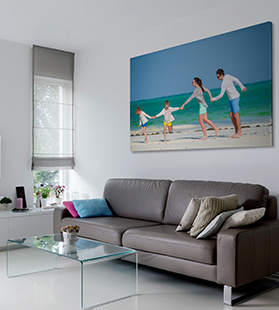 With our selection of home soundproofing panels, every space becomes your own. Choose from traditional fabrics, images, color coatings, shapes, and sizes, or customize your own for totally personalized home soundproofing only found at your place! Our wall soundproofing solutions are available in sound panels and tiles to suit every installation. Find the right home soundproofing solution for your space and sound issue today and hear the Audimute difference in no time! 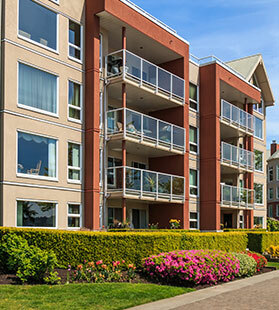 Looking for more information on how to soundproof a house? Audimute’s Acoustic Specialists are here to help. Our Specialists can offer product and acoustic advice for home soundproofing with acoustic panels and other sound solutions, such as sound dampening panels and kits. Give us a call today for personalized advice for your home soundproofing (866)505-6883.